Being in a tropical country at Christmas time means one thing - no white Christmas for me yet again. I miss the wintry feel associated with the holiday season. I long for a Christmas complete with real trees and snow! All these nostalgic Christmas celebrations in China made me decide to make my own winter wonderland on the Christmas cake. It's the closest I could do to get a white Christmas feel in sunny Thailand. I covered this fruit cake with a layer of marzipan ( almond icing). I then smothered it in vanilla butter cream. 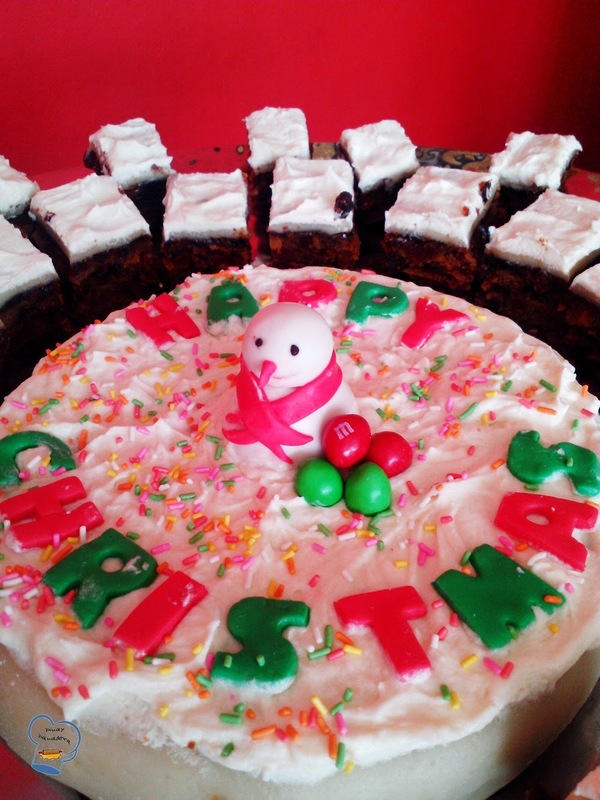 I tinted rolled fondant in red and green and cut out the words "Happy Christmas". The plain fondant left over after I finished making all the decorations came in handy. The last thing I wanted to do was throw it. 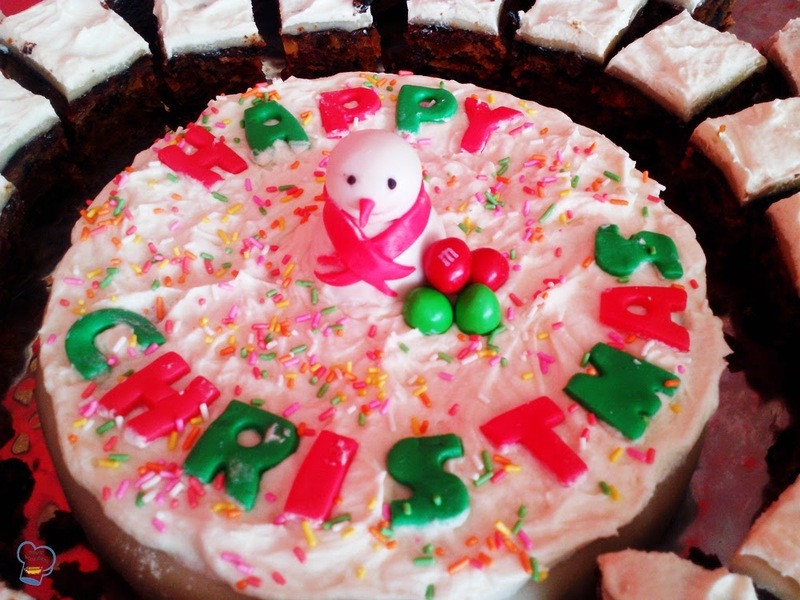 I made it into a snowman and put it in the middle of the cake. 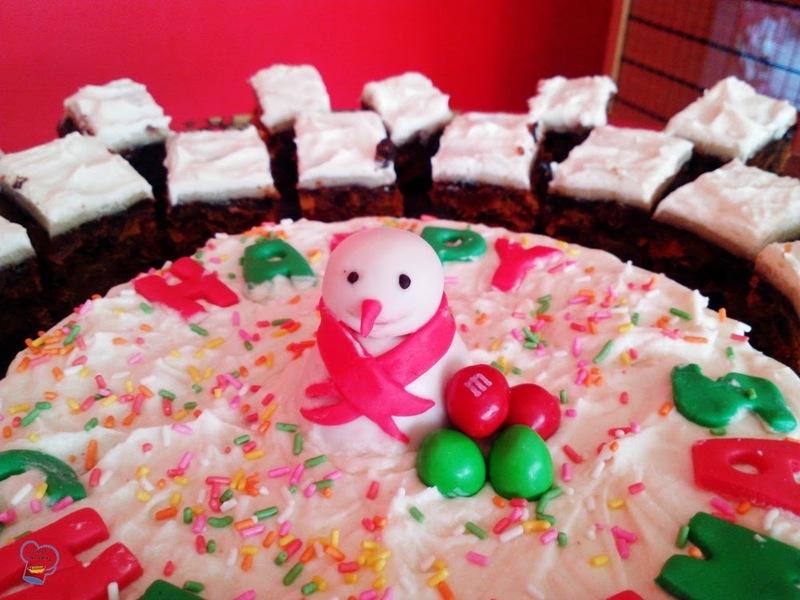 I liked to have colorful Christmas cake so I sprinkled colorful jimmies all over the surface and added M & Ms peanut candies in red and green.